Ever search around for a free resume template just to find some unhelpful career advice website burying their stingy resume tips under heaps of bull$hit? It’s annoying – especially when you’ve got time commitments and need to write that resume yesterday. So the BS stops here. I know the economy is cool and your resume has got to be hot to get noticed amongst the competition. 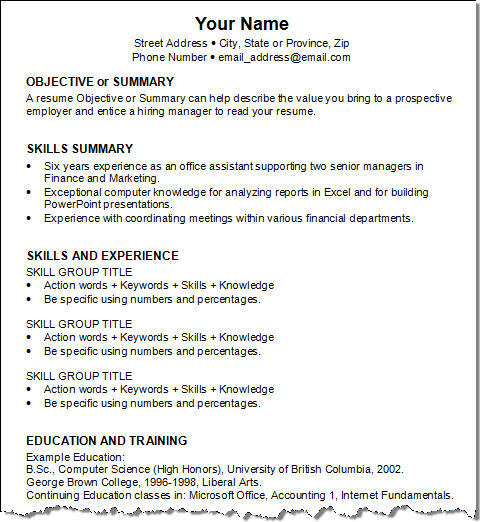 To help, I’ve put together 3 free Microsoft Word resume templates to help you get writing. Check out the article about resume formats to help you choose the right resume template for your situation. 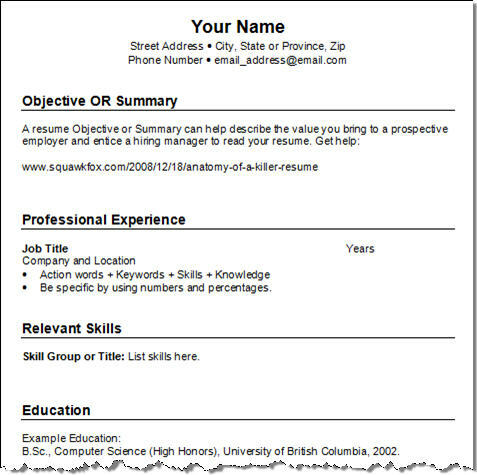 You might even find these resume examples helpful. Now, I’ve never been a fan of the generic blank resume template since they lack character – so if you’ve got the time, do try to add your custom spin on these templates to liven things up! Now get downloading ’cause there’s a job out there waiting for your greatness! Choose the chronological resume format if you have a steady work history with few breaks, if you’re staying in the same field, or if your job titles show increased responsibility and higher position levels. 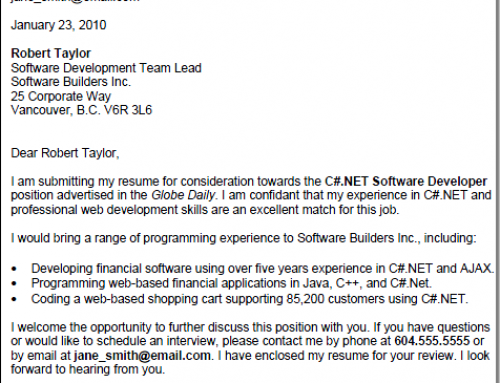 See a chronological resume example for some additional ideas. Consider using the functional resume format if you want to highlight specific skills, if you’re re-entering the job market after an absence, when you have a wide variety of different or unrelated work experiences, or if you’re looking for your first job as a new college graduate. 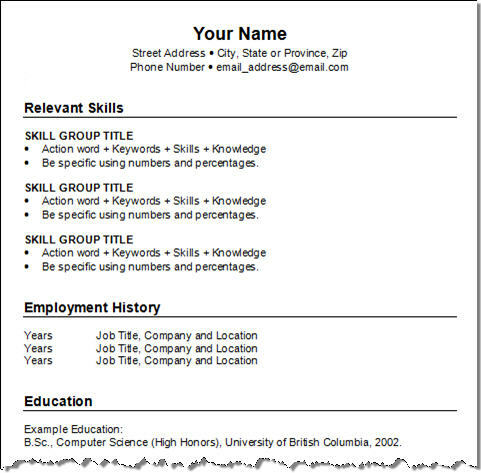 Here’s a functional resume example if you need to see this resume template in action! Use the combination resume format to highlight your transferable skills from numerous jobs or volunteer work, when your work experience differs from your desired career path, or if most of your work had been short term. 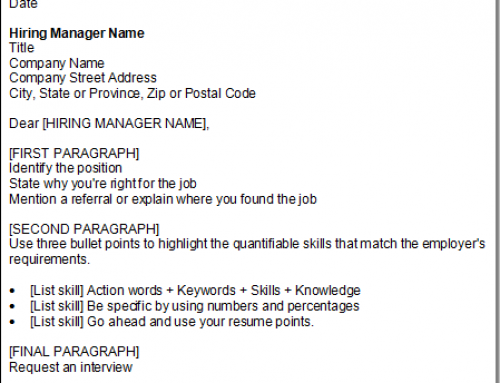 Check out this combination resume example to help you decide if this resume format is for you. I’ve had a lot of fun (and I’ve spent countless hours) blogging the How to Write a Resume series for your reading pleasure. While being “squawky” and entertaining throughout the series was my way to make a stressful task more fun, my ultimate goal is to hopefully help all you job hunters find work in this miserable economy. I fully admit that landing a job interview isn’t easy, but putting your best foot forward with an exceptional resume is a sure fire way to get some face time with a hiring manager. 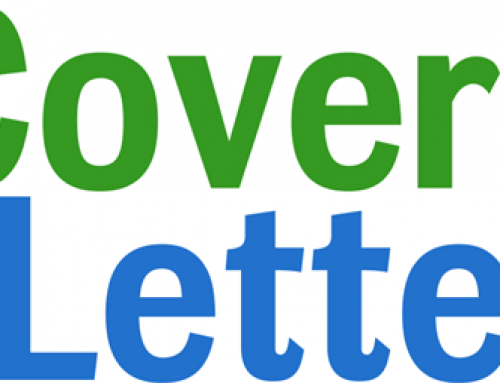 The Resume Critique Contest is now CLOSED! The resume critique contest is now closed. Thank you for your interest. To celebrate the completion of this massive resume writing series I’ve decided to do something a little different here at Squawkfox – I’d like to give TWO readers a free resume critique! So if you’ve been sending out your skills with no employer bites, now’s your chance to get a little resume advice for free! In 140 characters (or less) tell me why I should critique YOUR resume. If you’re on Twitter you may have some practice with writing short. Your 140 character sentence can be serious or humorous. Enter by commenting on this post or by privately sending me an email. The deadline is Monday May 4th, 2008. 5PM Pacific Daylight Savings Time. Seriously enough time to write 140 characters. Please DO NOT send me any resumes at this time. I’ll pick my TWO favorite 140 character submissions on Tuesday May 5th and contact the winners privately to send me their resumes. I’ll then write up a private resume critique to help the winners improve their resume and hopefully get them closer to landing that job interview. I’m really looking forward to seeing what you can do in 140 characters to convince me to critique your resume! If there’s enough interest (and with your permission) I may even write a post to share the best 140 character entries! I just got a job, but it’s only for 6 months. I have a fancy new CV but would love your opinion on it. What is the next major topic going to be? I’ve received many email and Twitter entries! Keep them coming! What do you think would work best for a contractor – in the past few years I’ve worked at places for one to two years, by choice as I’ve wanted to travel and do other things. How do you present that without looking like you lack stability? Hmmm…where did the used car post go? @Fox- You should consider doing a 10 point series (or have ever many it would take) on how to hire someone; what to look for in a resume. It would be the flip side of this series. I have been both the hiring manager and the aspiring candidate. I really believe that being the candidate is easier. Hiring the right person is MUCH tougher. Great series! Very helpful. Thanks! I love the website, I was able to help my niece build her resume following your tips. I m looking forward to fixing mine by following the same tips. Thank You! This series landed me my dream job at a major financial institution, thank-you so much. I’ve paid it forward several times over. it’s very kind of you to provide so much help to me, and i think i will achieve my idea job with your advice. thank you! The importance of highlighting achievements within previous job roles is even more important. When listing achievements, separate yourself prom the crowd through detailing the employer derived as a result of what you achieved. the more tangible the benefit that you delivered, the better. Financial benefits hit hardest so if you have increased sales, profit, gross margin, customer numbers and the like then say so and show how much money your previous employer gained as a result. If the reader can see quickly what you have delivered for employers in the past, the chances of making it past the first sift are greatly increased, especially as so many recruiters are time poor. This is SUPER helpful! THANK YOU SO MUCH!!!! really useful and good source…. I am desperately looking for a job. I have applied for several positions, but have not been shorted listed for an interview nor have been notified for any. 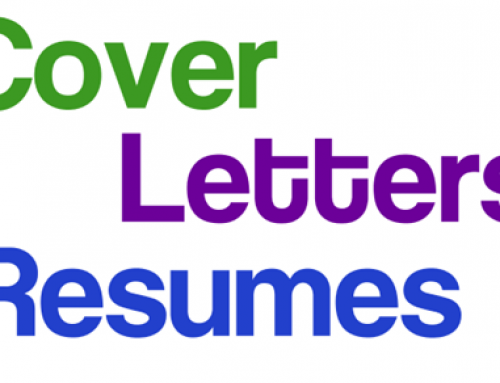 Am satisfied with your tips of writing a resume/cover latter. I will review and rewrite my resume based on what I have learn from your website. and I believed there after I will succeed in my endless struggle for employment. Welcome back, great to have you back. Thanks for the series-I really wanted to get away from the standard chronological… my only feedback is not putting home address on…rather, I use that space for my Linkedin address. Thanks again! You have a happy new follower!